Getting a retreat off to a successful start means getting attendees to open up and communicate with one another. People are often shy and hesitant to talk about themselves. Cold introductions are awkward and uncomfortable to a lot of people. 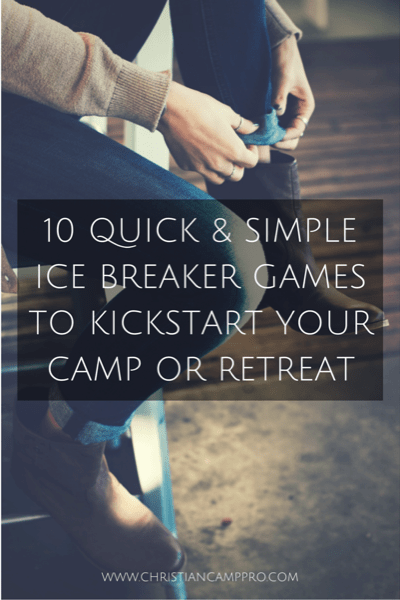 Games can be a great way to get retreat attendees talking. They make introductions fun and easy. This one has been a party staple for years. The set-up is simple. Attendees have a card or name tag stuck to their backs with the name of a famous person on it. The game ends when each person guesses the name of the famous person on the card. Any person who has done that activity must toss one card into the circle. The game ends when only one person is left with a card. This game is great as an icebreaker and as a team-building exercise. In it, guests are asked to name one item they would bring to a desert island. Each item should be related to the person’s skills or personality. For example, an animal lover might bring a pet, or a musician might bring an instrument. Guests are then encouraged to form a team based on what each person brought and how the items might be combined to best benefit their survival. The team with the most efficient (or creative) plan wins. For this game, attendees are asked to give three facts about themselves, two of them true and one false. The goal of the game is to figure out which is the lie. After each person shares their three facts, the group must vote to decide which one was false. The correct answer is revealed at the end of each round. To play this game the group pairs off with one person playing the part of the Chat Show host and the other playing the guest. The host must discover three interesting facts about the guests. The pair then switches roles. The pairs rejoin the larger group and each person is randomly called upon to share the interesting facts they learned about their partner. The object of this game is for players to get the signatures of people who match the facts or activities listed on the Bingo chart. Some examples include: Likes Broccoli, Speaks More Than One Language, Knows How to Use Chopsticks. Once a player gets five signatures in a row, he or she shouts “Bingo!” and wins. Players are given cards and asked to write an interesting fact of themselves on it. The cards are collected, shuffled and then passed out again. If guessed correctly, the person explains what they wrote on their card. Play continues until all the cards are read. In the end, everyone reveals what they wrote. Each player in this get-to-know-you game is asked to tell what they would be and why if they were: a cartoon character, a food, a historical figure, a book character, etc. Encourage creative answers for more interesting discussion. For this game, a large pile of string or yarn that has been cut to different lengths is placed in the center of the circle. Each player slowly draws a string from the pile and winds it around their index finger. The player must talk about him or herself until the string is pulled free from the pile. In this game, the group is broken up into pairs. Each person has to come up with words or a phrase that describes their partner using the letters of that person’s name. For example, Alice- Adventurous, Likable, Imaginative, Colorful, Exciting. The words or phrases are shared with the group in order to match names with guests. Introductions don’t have to be scary or awkward. By using games as icebreakers you can relieve guests of the stress of feeling put on the spot. Icebreaker games are great for allowing guests to get to know one another and encouraging conversations all while having fun! This post was made possible by Refreshing Mountain.